Want me to join your cast in an upcoming event? Book me for your next show! All Kids Out of the Pool Part Two: Night of a Thousand Ricks! Thanks to Glit-o-Rama productions, I’ll be bringing Brak back to the stage for one gloriously stupid night at the Bier Baron on 5.20.2017! Tickets available now! 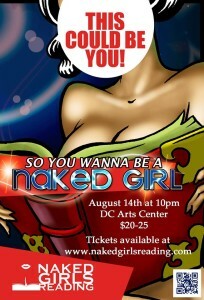 The next Philanthrotease event is during PRIDE Weekend in DC! A Tribute to George Michael, Too Funky brings the Best of DC Burlesque to the Bier Baron Tavern stage on June 10th 2017 at 9 PM. Tickets, including VIP Reserved seating are available now! 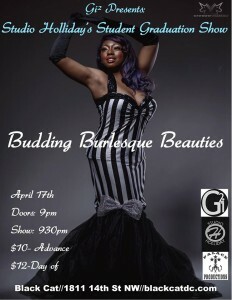 I am honored to have been invited to perform in the Capital City Burlesque and Vaudeville Festival! My infamous tribute to David Bowie’s Space Oddity is slated for the Silver Slipper Speakeasy on June 30th at the Black Cat. 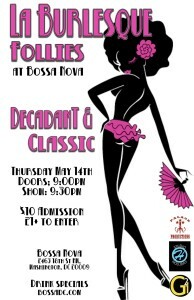 Come see a fan dance like none other! First Ladies! Get to the heart of DC’s Body Politic at the Bier Baron 2.20.2016. “All Kids Out of the Pool!” Friday we will be in Baltimore at Ottobar, and Saturday in DC at the Bier Baron. Come see my BigO face! 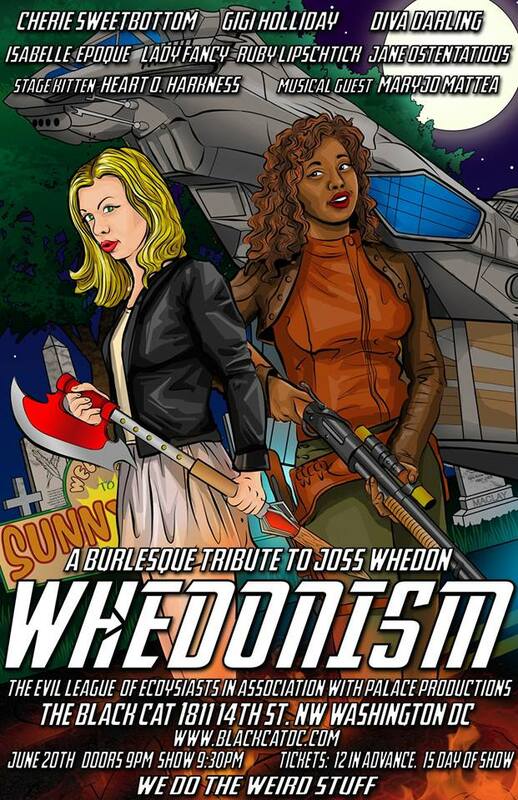 Sunday, October 25, 2015 at 7 PM Burlesque returns to Mr Henry’s on Capitol Hill. 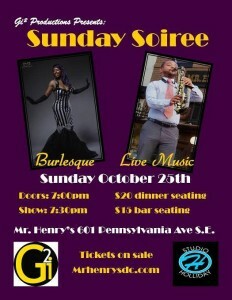 Dancers perform classic acts to live jazz by Herb Spice and the Cinnamonstix for a Dinner Show to remember! Get your tickets for this amazing experience. 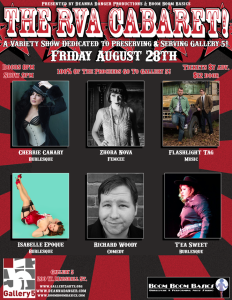 August 28, 2015: RVA Cabaret and Variety Show at Gallery 5, West Marshall Street, Richmond, Virginia, Doors 8 PM, Show at 9PM. Tickets available in August. See me debut my glorious turquoise feather fans, Tickets available now! 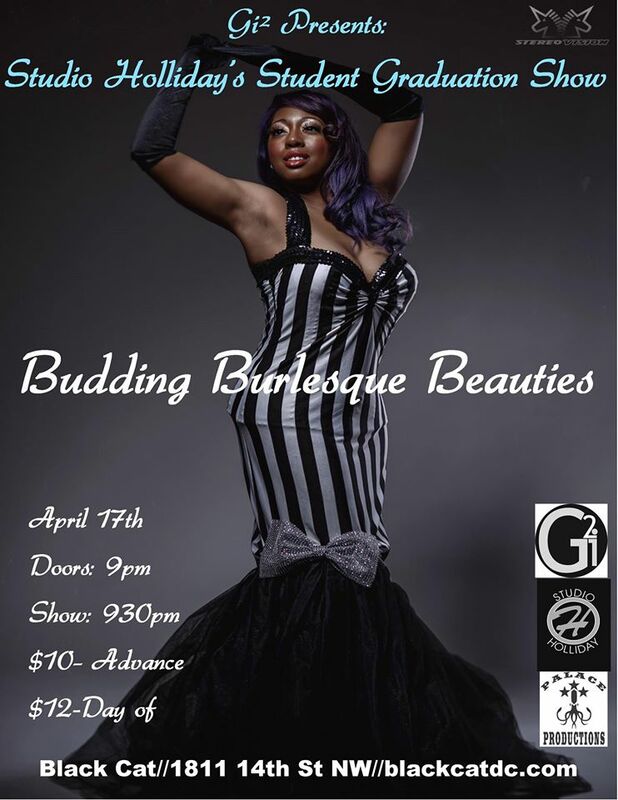 All proceeds are donated by the RVA Cabaret to Gallery 5, and incredible community resource. August 21, 2015: 8 Bit Revue at The Black Cat, Washington DC. Doors at 9 PM, show at 9:30. Join Maki Roll & company as they take you on a multi-level voyage into the worlds of your favorite video games. From PC gaming to console and everything in between, this show is sure to have your butts glued to your seats and your eyes open wide. Tickets available now! 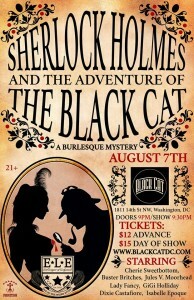 August 7, 2015: The Evil League of Ecadysiasts presents Sherlock Holmes and the Adventure of the Black Cat at The Black Cat, Washington DC. Doors at 9 PM, show at 9:30. Tickets available now! We’ve now added a second show at 11 since the 9 PM has SOLD OUT! Get tickets here for the 11 PM. June 19, 2015: Evil League of Ecadysiasts presents the Fourth Annual Whedonism at the Black Cat! Doors at 9, Show at 9:30. I’ll be your favorite space ship and collectible firearms thief with a knockout kiss. I’ll be your Alfonse Mucha painting, a light in the dark.